I believe this season comes down to the 12 games in February. Do anything less than 9-3, and it becomes harder and harder for the Thunder to catch up to the Pelicans and Suns. Here’s the catch, though. Those 3 losses cannot come against the Pelicans and Suns (2 games against New Orleans and 1 game against Phoenix this month). If the Thunder lose any of the two remaining games against the Pelicans, they lose the season series and essentially fall a game behind New Orleans if both teams finish with the same record. Conversely, they’ve won both games against the Suns and need one more victory to clinch the season series (and catch up to them in the standings). It’s go time. 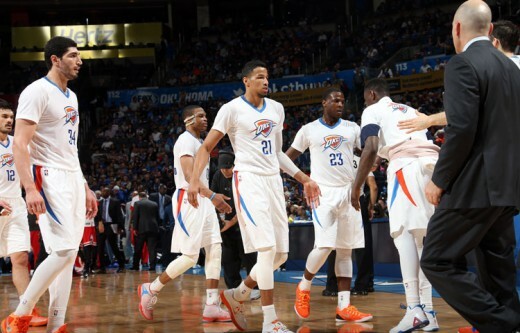 The excuse that the Thunder have plenty of time to catch up is quickly evaporating with every game. This is the third of four games between these two teams. New Orleans has won the first two games of the series. In the first game, the Thunder’s rhythm was thrown off by the return of Kevin Durant to the line-up and they lost 104-112. 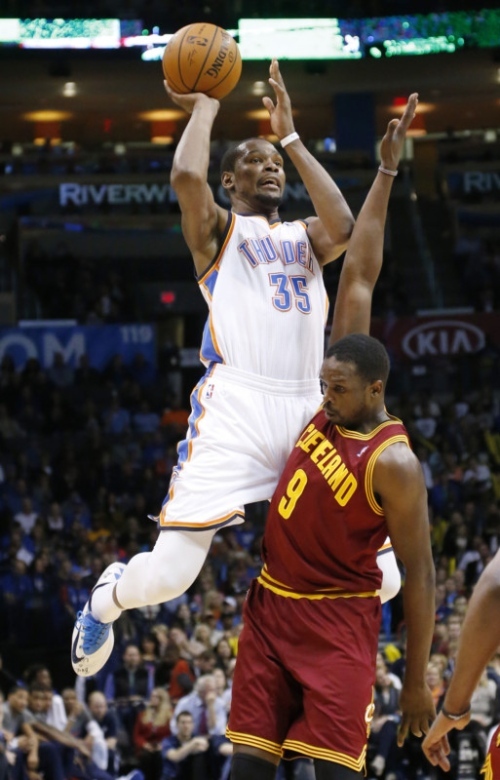 In the second game, with Durant out with an ankle injury, the Thunder battled hard until late in the 4th quarter. 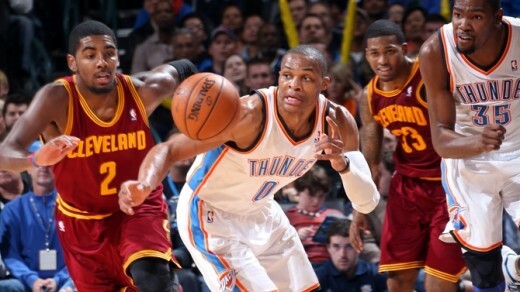 But critical miscues by Russell Westbrook in that final quarter led to the team losing 99-101. 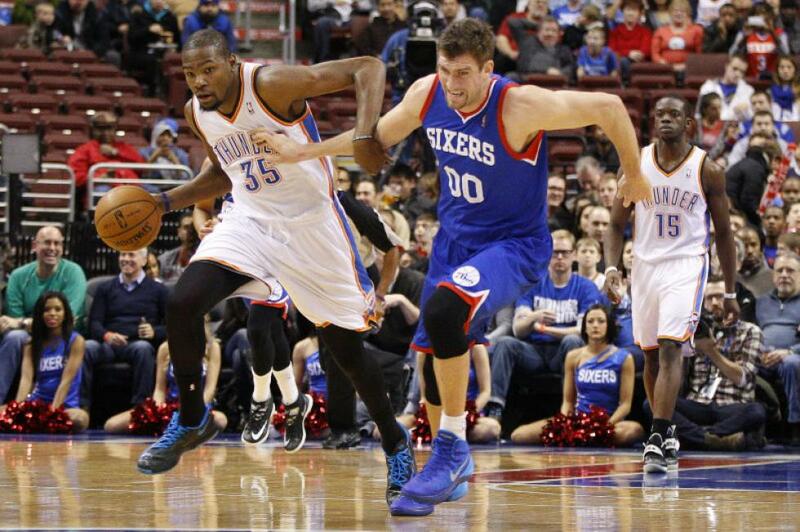 Kevin Durant will be out for this one with a sprained left big toe. The Pelicans come into the game with a 26-22 record, currently good for 9th in the Western Conference. In their last game, the Pelicans defeated the Atlanta Hawks to bring the Hawk’s 19-game win streak to an end. New Orleans features a balanced team with interior scoring and perimeter shooters. They are middle of the pack in most statistical categories, but find ways to win close games, as evidenced by their small margin of victory (+1.4). They usually led by Jrue Holiday, but he has been out for the past 2 weeks with a stress reaction in his ankle. 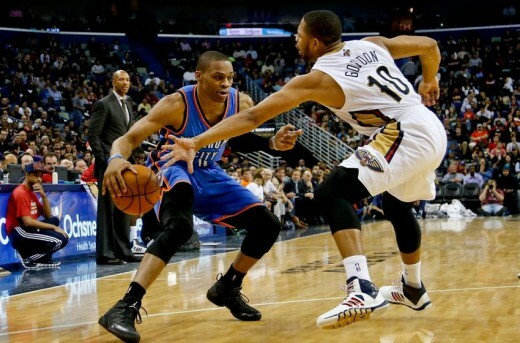 In his stead, New Orleans has used a combination of Tyreke Evans and Eric Gordon in the backcourt. Gordon has remained relatively healthy since coming back from a shoulder injury that caused him to miss 21 games. Dante Cunningham has slid into the starting SF position and has put up 5.9 points and 4.2 rebounds in his last 10 games. 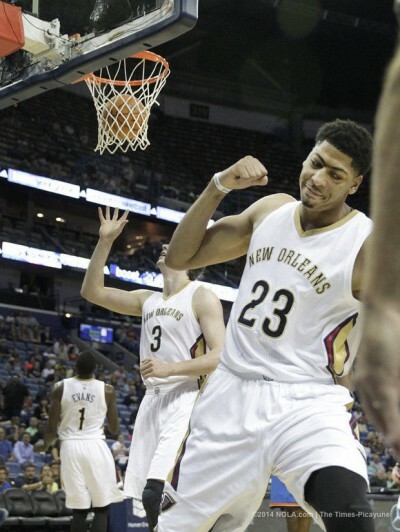 Up front, Anthony Davis continues to play at an MVP-like pace and Omer Asik is still big. The bench features 6th Man of the Year candidate Ryan Anderson, sharpshooter Quincy Pondexter, and big man Alexis Ajinca. 1. 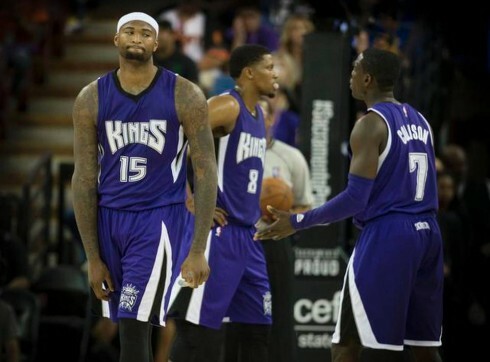 Anthony Davis and Tyreke Evans – In two games this season, Davis has absolutely dominated Serge Ibaka. 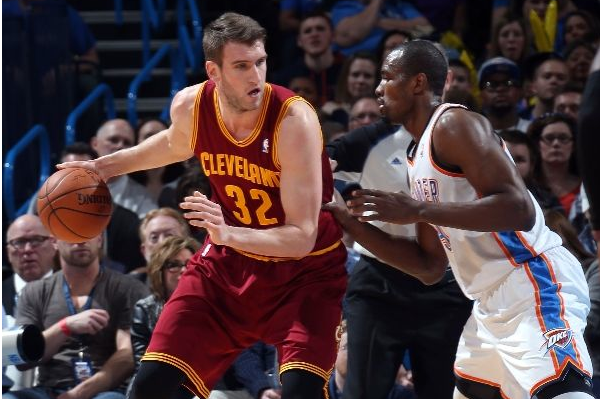 He’s averaged 31.5 points, 11 rebounds, 3 assists, 3.5 blocks, and 3 steals per game in those two meetings. Davis has gone the Brow equivalent of Slim Reaper on the Thunder this season. For the team to have a chance with Durant, they are going to have to limit Davis somehow. Whether that’s by double teaming (something the Thunder never do) or by Ibaka just playing better man to man defense, something has to be done to prevent Davis from getting video game stat lines against us. Conversely, Evans has shredded the Thunder defense by getting into the paint at will. Whether its Westbrook, Roberson, or Waiters defending, they’ll have to do a better job of staying in front of Evans. 2. 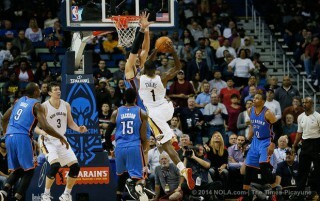 Rebounding – The Pelicans are the fourth best offensive rebounding team in the league at 12.2 a game. Where they are most dangerous is when those extra opportunities lead to 3-point shots from Anderson, Gordon, or Pondexter while the defense is left scrambling. 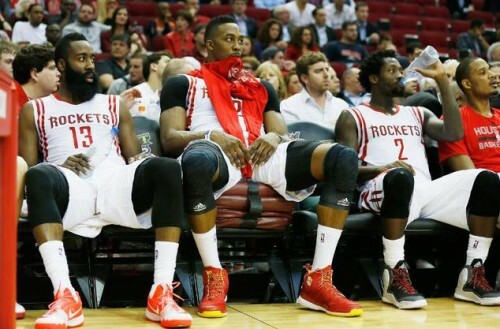 And it’s not just Davis and Asik. Tyreke Evans does a good job rebounding from the wing and Anderson and Ajinca do a good job of offensive rebounding off the bench. It’ll be very important for Ibaka, Adams, and Perkins to box out and not allow the Pelicans any more opportunities than necessary. 3. 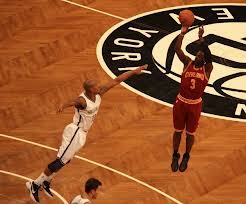 Dion Waiters – The “Dion Waiters as a starter” experiment got off to a rousing start in the last game. He scored 24 on 9-15 shooting and had a big part in Westbrook’s triple double in that game. 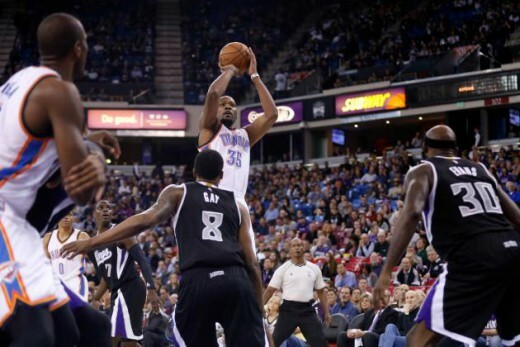 He added a dimension to the starting line-up that is usually only seen when both Westbrook and Durant are healthy. He’ll likely have to have a similar game tonight for the Thunder to win. Earlier this college football season, I experienced something I have never experienced since I started following and rooting for the OU Sooners about 20 years ago. That feeling of seeing something bad and knowing things were going to change from that point on. For me, it was the OU/Baylor game in Norman this season. The Sooners were out and out embarrassed by the Bears as Baylor quarterback Bryce Petty shredded the defense on short wide receiver screens all day long. The OU defense kept their corners at least 8 years off the line for fear of the deep ball throughout the game, and Baylor continually exploited that strategy. In the end, Baylor thoroughly dominated the Sooners 48-14. OU had lost before, but this loss felt different. For the first time, it felt like the currency Bob Stoops had built up with his 2000 National Championship win was beginning to run low. Even the most ardent of Sooners supporters were calling into sportstalk radio shows asking, not necessarily for Stoops’ head, but for significant changes. The Sooners had disappointed and Sooners fans were fed up. Needless to say, after the season, changes were made. Both offensive coordinators were let go of and the defensive coordinator (who happens to be the head coach’s brother) was almost let go and will likely have a very short leash next season. Will these moves help? That remains to be seen, but in the presence of stagnation, sometimes change is all that is needed to catalyze improvement. @Golden State – lost 117-91 – Balanced attack by the Warriors (seven Warriors scored at least 8 points or more) decimated the hapless Thunder who shot just 30.6% from the field. The Warriors used small ball throughout the game due to the absences of Andrew Bogut and Festus Ezeli. The Thunder never countered, staying with a normal line-up most of the night, and were constantly caught in bad defensive match-ups. @Sacramento – lost 104-83 – Three Kings (haha, punny) scored 23 points or more as the Thunder once again struggled to find any type of flow offensively, and failed to get stops when they started building momentum. The Kings played to the Thunder’s comfort, with a regular three wings/two posts lineup, but the Thunder’s perimeter defense was almost non-existent the entire evening. vs. Utah – won 99-94 – A win is a win, right? Not necessarily. 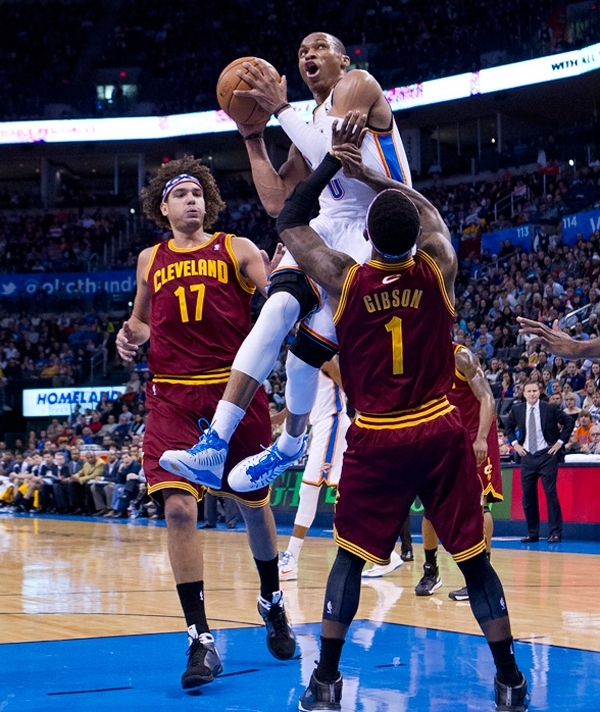 While a W is always nice, this was a game where the Thunder needed to play like a championship contender. Instead, the Thunder struggled the entire evening in keeping the Jazz wing players in front of them. Gordon Hayward and Trey Burke kept finding their ways into the paint and Derrick Favors feasted off of their drives to the basket. With 8:12 left in the game, the Thunder found themselves down by 7. It was at that point that Kevin Durant and Russell Westbrook checked back into the game. From there, Durant, Westbrook, and newcomer Dion Waiter, went on to score every point for the Thunder the rest of the way. A win, yes. But not anything you can necessarily hang your hat on. The Thunder, for as great as they are, still suffer from the same ills that have plagued them for the past 5 seasons: late game execution, lack of an offensive system that involves all the players (especially in crunchtime), defensive lapses, poor in-game adjustments, turnovers, being undisciplined, low collective basketball IQ, etc, etc. In my work experience, when a collective of employees continues to do the same things wrong over an extended period of time, it always comes back to the supervisor. 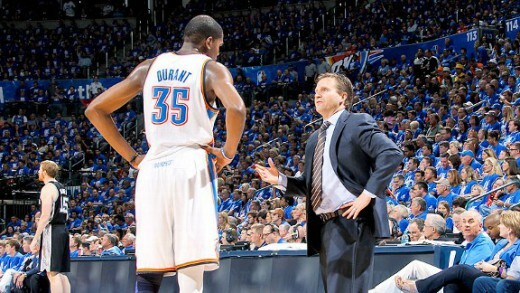 In the Thunder’s case, the supervisor on the floor is Scott Brooks. Brooks has been the coach for nearly 6 full seasons. If consistency is a good thing to have as a coach, color Brooks good. But at what point does consistency become redundancy? Lately, I’ve come to compare Brooks to the cool supervisor at work. Those types of supervisors usually share similar traits. They confuse niceness and smiles with respect for authority and they tend to look the other way when their employees commit small transgressions. Eventually, the transgressions become more and more common and the supervisor is left with one of two choices: continue to look the other way or completely change course and do a behavioral 180. The problem with the second choice is that after enough time of being the “cool supervisor”, a threat no longer holds weight. Then you are left with a situation where the employees like the supervisor, but don’t respect his/her authority. When the employee/supervisor relationship reaches this point, it’s usually hard to salvage anything. Either the supervisor goes down with the ship, or the supervisor’s 180 causes his employees to despise him/her. 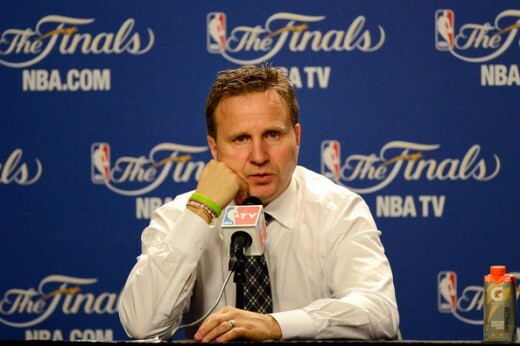 I feel like the Thunder have reached this point with Scott Brooks. One of my fellow bloggers commented, “The players love him (Brooks)” when I brought up my “cool supervisor” analogy. While that may be true, that’s also a symptom of the employee/”cool” supervisor relationship. If my superior is constantly allowing me to get away with indiscretions, I’d like him/her also. 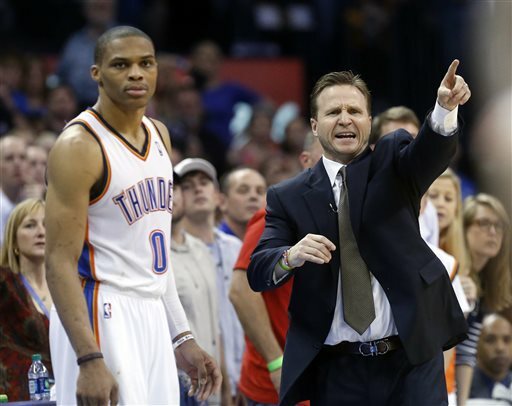 Its getting to a point where I almost have to wonder if the Thunder players are even listening to Brooks anymore. In practice, Brooks has to be running a system where everyone gets involved in the offense, even during crunch time simulations. But in real games, the Thunder always revert back to their default, which is Westbrook or Durant on the perimeter trying to make something out of nothing. It usually works, because Westbrook and Durant are that good. 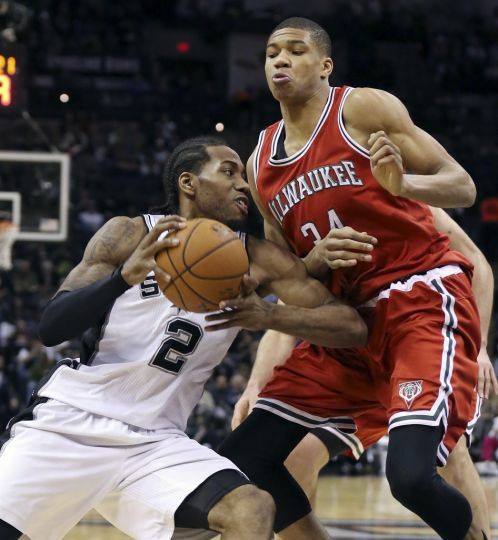 But against great teams with good coaching, that offensive plan is becoming easier and easier to guard. Teams with high defensive IQ’s (basically everyone in the playoff picture in the Western Conference) know what’s coming before it happens. Another question that needs to be asked: Do the players still respect Brooks? Again, going back to the supervisor analogy, liking someone can easily be mistaken for respecting someone. A coach that used to play point guard likely has an unwritten kinship with his own point guard. But Brooks has usually delegated that job out to others. 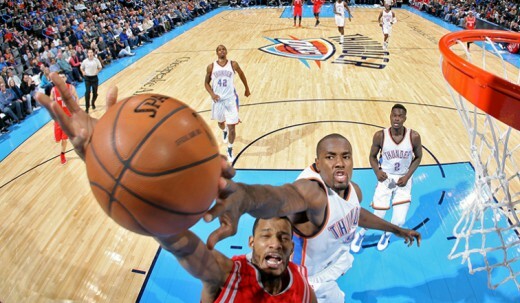 Be it Mo Cheeks, Kevin Ollie, or Derek Fisher, Westbrook has always had someone around to help cool him off. While I’m not entirely familiar with Westbrook’s relationship with assistant coach Robert Pack, it seems as if Westbrook is on his own this season. The results these last few weeks have been questionable. Westbrook has seemingly got hit for at least a technical per game in that time frame and was even ejected from an important game that had possible postseason implications. If this was a rookie or 2nd year player, you could understand. But this is a veteran floor general for a supposed title contender. If the head coach can’t sit him down and control him, who can? Even as an emotional player, Westbrook has to know that racking up technicals and getting a hot-head reputation can’t be a good thing. The other point guard on the team is an emotional mess, but on the other end of the spectrum. Reggie Jackson’s recent de-evolution from “future starting point guard for another team” to “what the hell was that?” is troubling and confusing. Jackson made his intentions known at the end of last season and the beginning of this season, that his current career goal is to lead his own team as a starter. 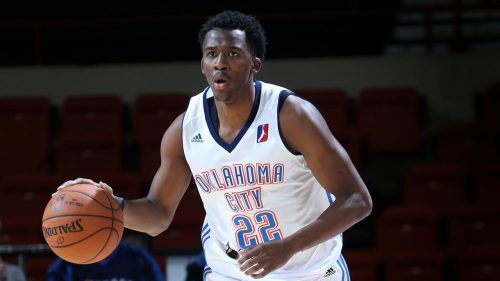 Since the Thunder cannot supply his demand with Westbrook already in tow, it is almost a given that Jackson would likely be traded either this season or leading up to the draft. When the season started with both Durant and Westbrook shelved with injuries, Jackson did his best to lead the team and put up good numbers. He averaged 20 points, 5 boards, and 7 assists during the stretch where he was the Thunder’s best player. 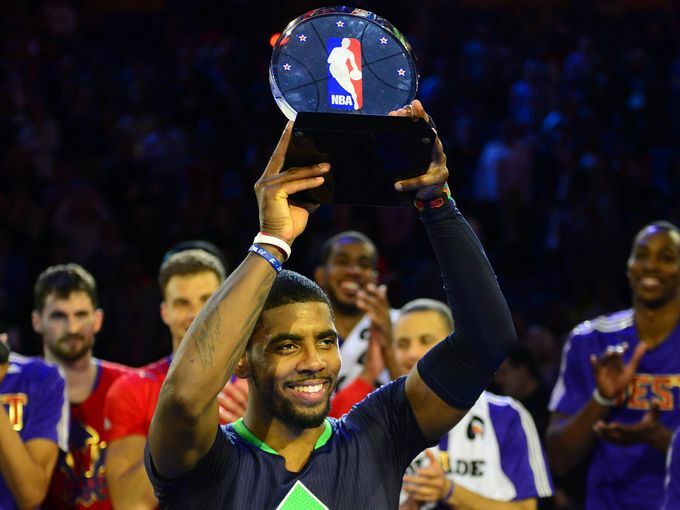 But lately, his play has been more reminiscent of his rookie season. He’s eschewing his bread and butter (attacking the paint) for step back rainbow threes. And his defense, always questionable, has been atrocious of late. Usually one of the players on the floor with the crunchtime line-up, Brooks instead chose to go with Waiters in the last game, which was extremely telling of how Brooks felt about Jackson in that moment. The final thing that needs to be addressed is the lack of an offensive system. Around the league, teams are choosing to go with a Spursian model of sharing the wealth on offense instead of depending, almost entirely, on one or two scorers. Even teams that are known for their half-court offense (Memphis, Portland) have systems that play to the strengths of all of their players. The Thunder offense, unfortunately, still relies heavily on the abilities of Durant and Westbrook. As I’ve mentioned before, those two are good enough to succeed in many situations. But defenses are starting to key in on this fact, and it is getting harder and harder for the Thunder to come up with efficient shots when they need them the most. And it isn’t like the Thunder don’t have options. 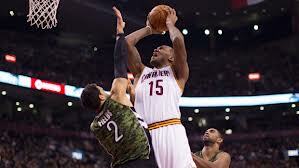 They have a PF/C that can shoot 3’s and is one of the best mid-range shooters in the game (Serge Ibaka). They have a 3-point specialist in Anthony Morrow that is one of the most feared shooters in the game. 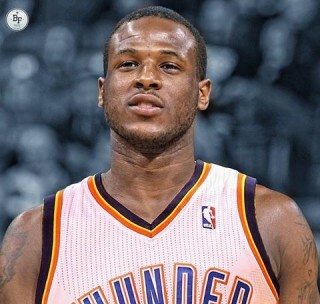 And now they have two combo guards, in Jackson and Waiters, that can drop 20 on any given night. But when the game gets close, the ball will likely find its way into the hands of Westbrook or Durant, and it will be a secret to no one. I’ve never been a proponent of the mid-season coach firing. 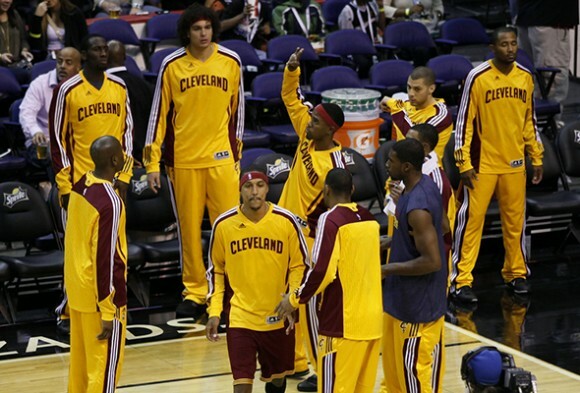 It can lead to chemistry issues and feelings of a season being lost. But once this season ends, the Thunder need to seriously think about changing the voice in the huddle, whether its changing the head coach or getting some specialist-oriented assistant coaches. There comes a point when the expectations of a coach switches from the win/loss record to finishes. Brett Brown of the Philadelphia 76ers is currently about the wins and the losses. But Gregg Popovich is all about the finishes. And finishes have been something Brooks has struggled with. 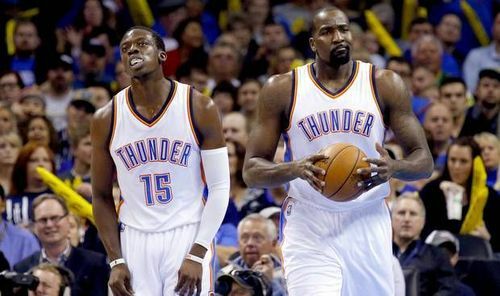 Have injuries had a hand in the Thunder’s last few shortcomings? Of course. But no fail safe system has ever been put in place to protect against such commonalities as injuries. Its a wonder if Brooks has just reached his glass ceiling with this team. A lot like Bob Stoops, Brooks appears to be burning a lot of the currency he got when he took the Thunder to the NBA Finals in 2012. And it seems to be playing out in real time as the Thunder struggle to get out of the hole that was built for them in the beginning of the season.